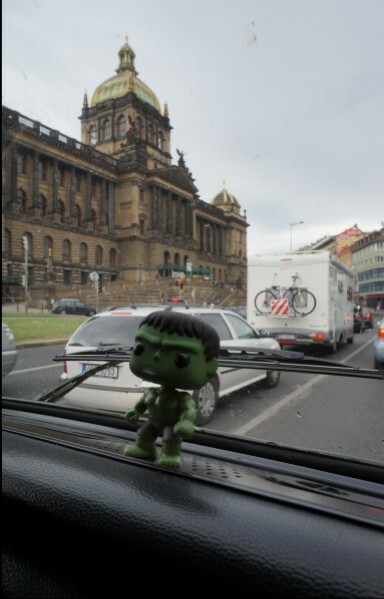 Despite the fact that compared to other countries in Europe, so little is known about the Czech Republic and its capital, Prague, it was by far the most incredible city we have experienced yet. The city offered staggering views of ornately decorated museums, squares, and churches, along with genuine old world charm. 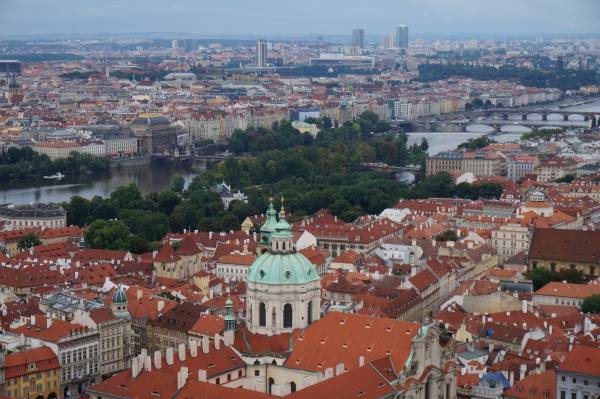 Despite the inability to understand any of the Czech language (for this beauty comes at a price – the price of a very confusing non-Latin based language), we wandered happily through the rose colored rooftops listening to the babbling of the River Elbe. This time, we sat out to explore on foot, for the cobble stoned streets of Prague wouldn’t have been kind to our bicycles or our butts. 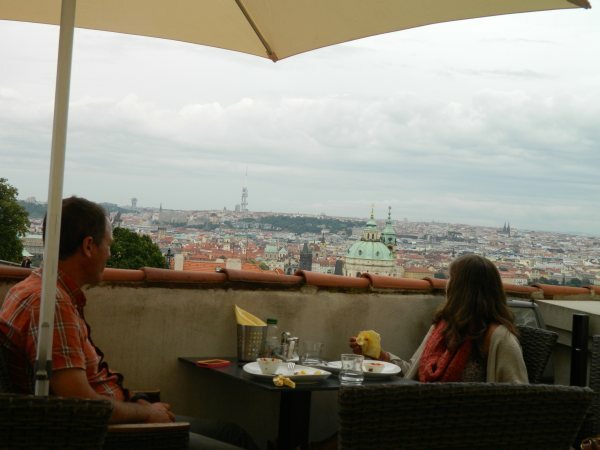 Our feet first led us to Prague Castle, one of Prague’s most amazing sights. 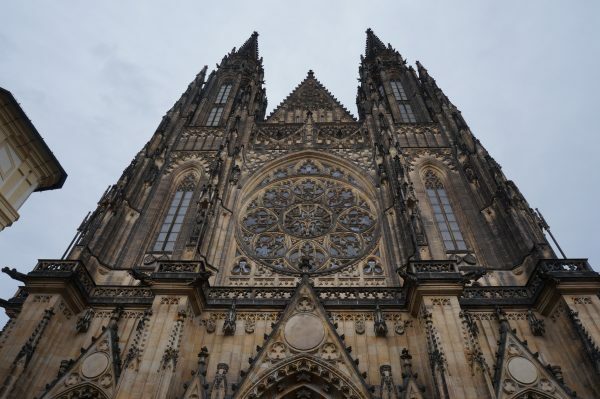 It is crowned by the twin spires of St. Vitus’s Cathedral which was started in 1344, and because of the Hussite Wars was only completed in 1929, over 500 years later! The interior was remarkable and included an abundance of art work and sculptures. Prague Castle is in the Guinness Book of World Records as the worlds largest covering just over 70,000 square meters or just over 17 acres. Beautiful stained glass in the cathedral interior. 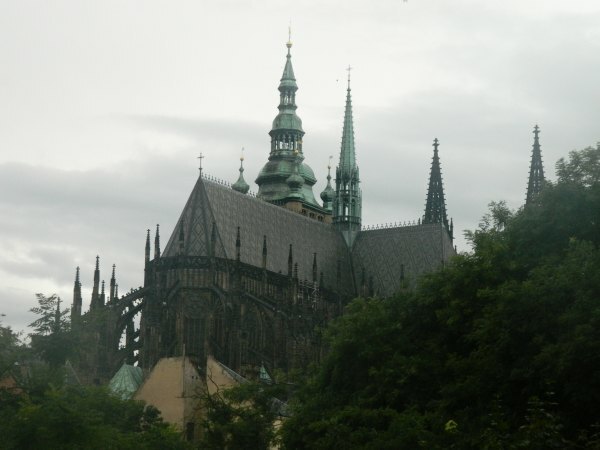 One of the highlights of our time in Prague, was the ascent of St. Vitus Bell Tower. The bell weighs in at an astounding 16.5 tons. We huffed our way up 287 spiral stairs to the top of the tower, which stands 316.6 ft. tall in the castle square. The views offered were well worth the leg workout. 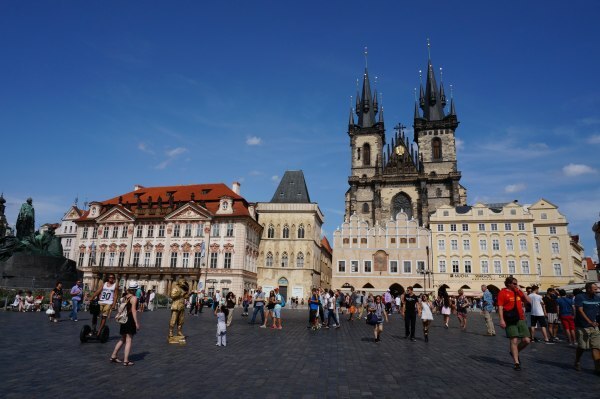 In Prague’s Old Town Square, we saw many old governmental buildings and the famous Old Town Square Astronomical Clock. It not only tells the correct time, but relates the movement of the planets around the earth, sun, and moon through the signs of the zodiac. We also saw the St. James Basilica, which is famous for having a mummified arm hanging above the door (which we did not see). 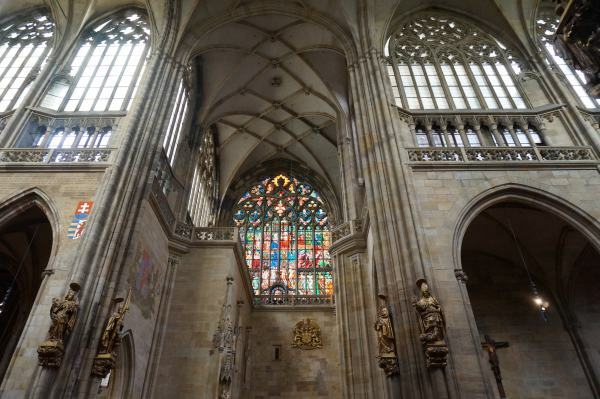 Yet, we did thoroughly enjoy the Gothic and Baroque interior. View from St. Vitus Tower, worth every one of the 287 steps it took to get there (depends who you ask). 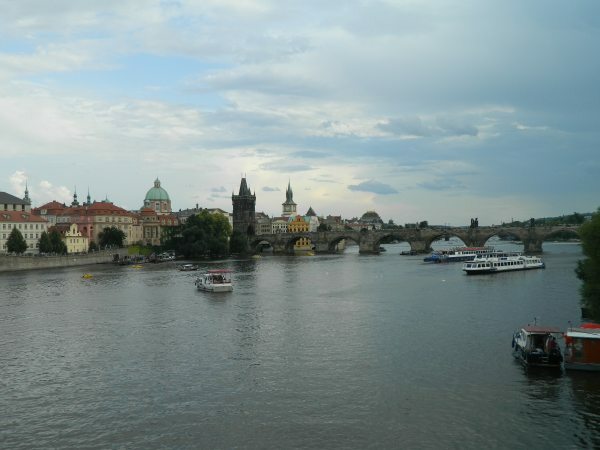 Charles Bridge – This bridge has witnessed battles, parades, and film shots. 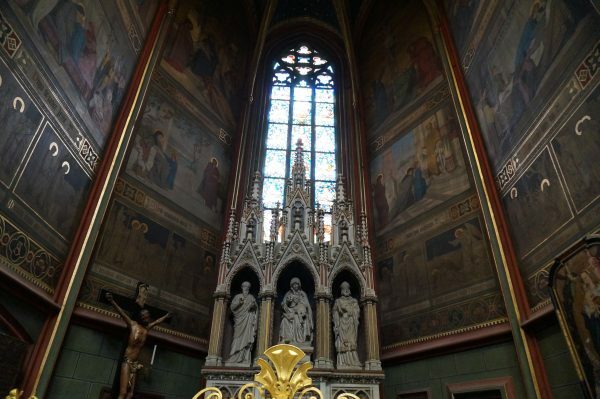 It includes thirty larger than life statues of saints and other religious figures. They are said to have been put up to lead the masses back to mass! 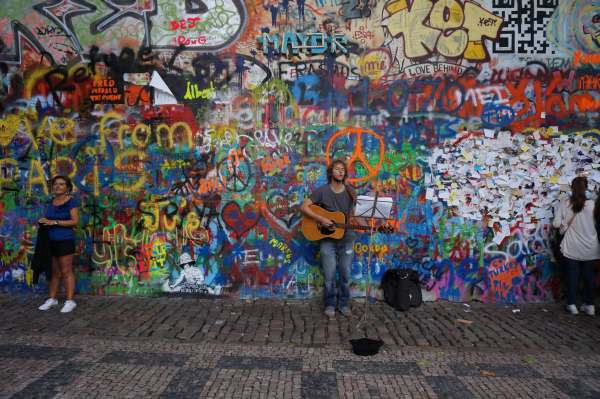 The Lennon Wall (John Lennon). During communist rule locals painted and hung poetry on this wall only to be covered up everyday by local police. People would continue to paint figures of peace at night; the communist government finally gave up,. 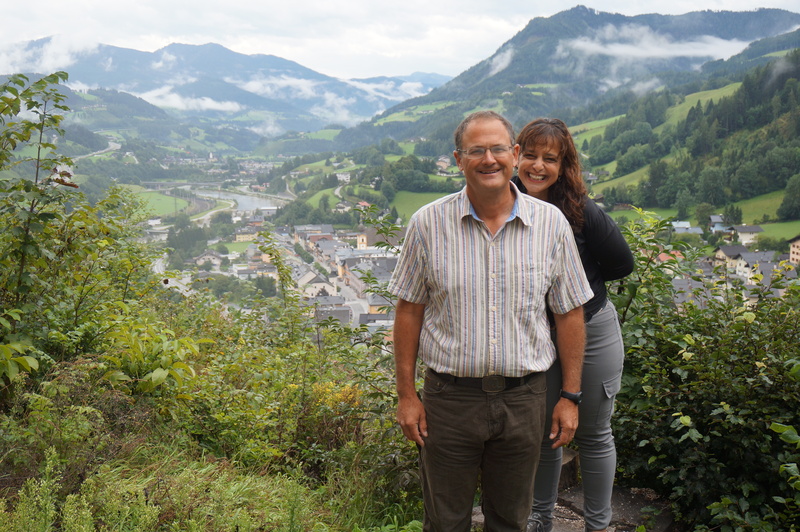 Although sad to leave Prague, we were met with the equally beautiful countryside of Austria. 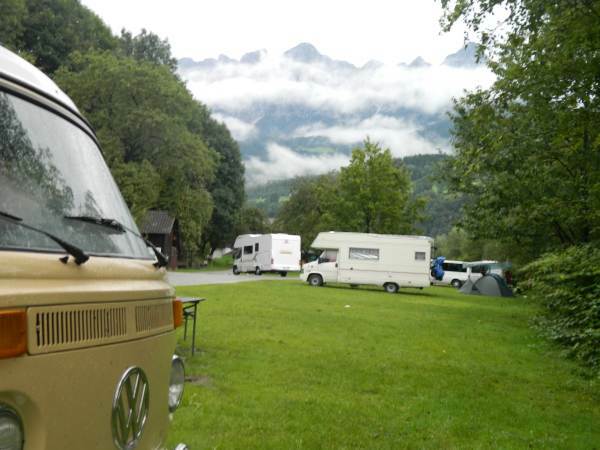 We camped with the Austrian Alps on one side and the Salzach River on the other. We spent the night shivering and taking in the majestic fog tipped cliffs. The next morning, before our departure to Venice, we hiked to the to the entrance of a nearby castle and pondered its previous importance. 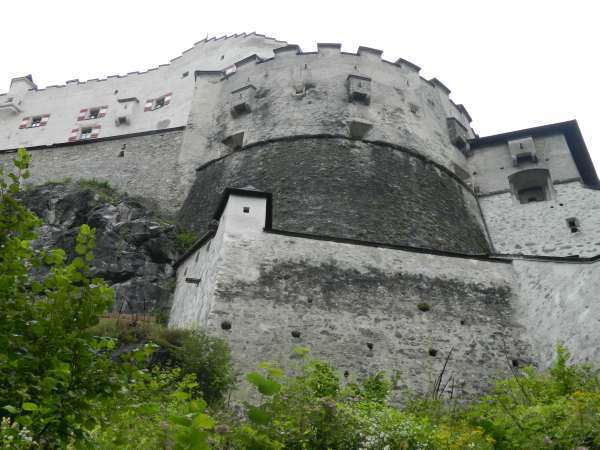 It was located on a cliff, a clear tactical choice, which would cause it to be difficult to attack without being spotted. 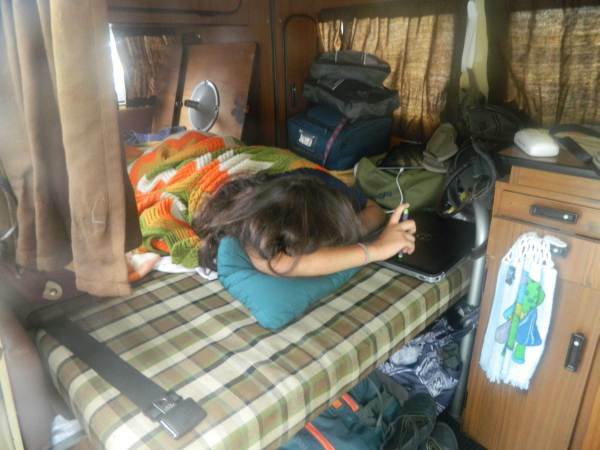 We were thankful to be one of its easily spotted visitors and welcomed the fresh air. We hope to return to this picturesque country with its fairy-tale castles and pastel painted buildings. 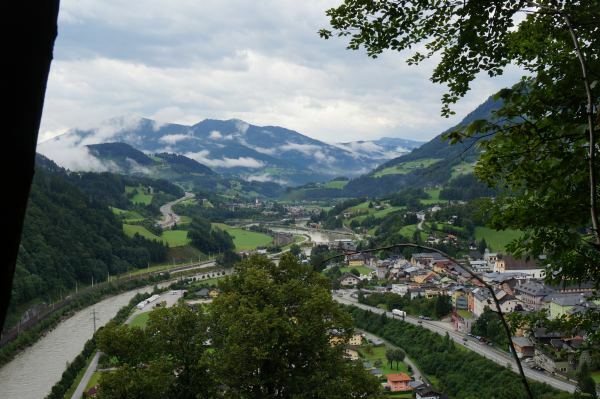 View from our campsite in the Austrian Alps. 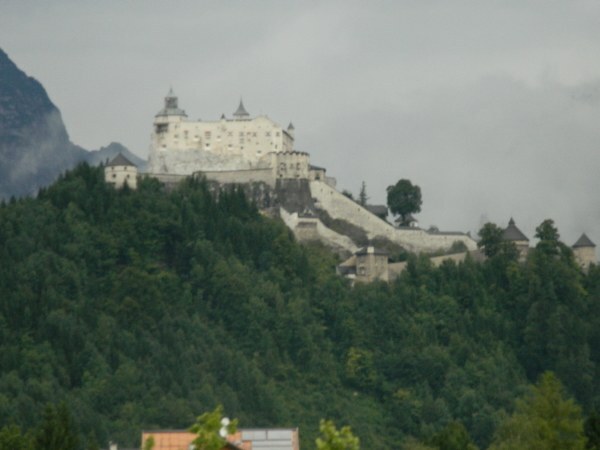 Hohenwerfen Castle in the distance. Some fun on our morning hike. 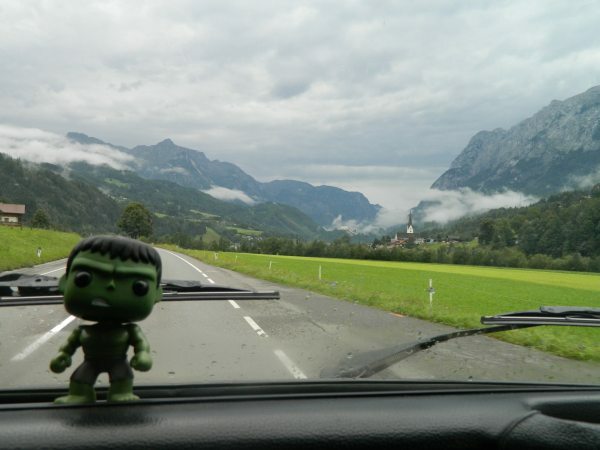 aghhhh, sad to leave Austria. Beautiful!! These are the best pictures yet! !